Kose Sports Park Stadium or Yamanashi Chuo Bank Stadium for reasons of sponsorships is a multi-purpose sports arena located in the city of Kofu, Japan. 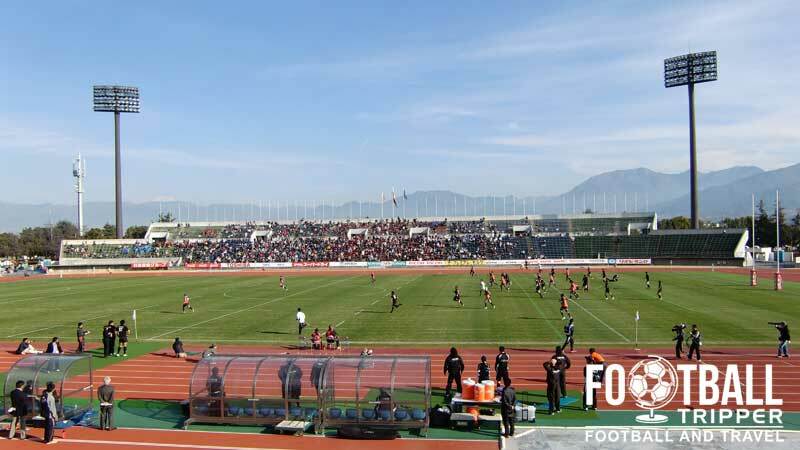 Built in 1985 with a capacity of 17,000 the ground underwent renovations in 2005 in order to modernise facilities and it is currently used by J.League side Ventforet Kofu F.C and the local high school for Athletics events. Yamanashi Stadium was constructed over a period of three years in order to host the opening and closing ceremonies 41st National Sports Festival. First opened in 1986, the stadium is multi-purpose by design with an athletics track located around the outside of the pitch in addition to other facilities such as a sand pit for various jumping events. 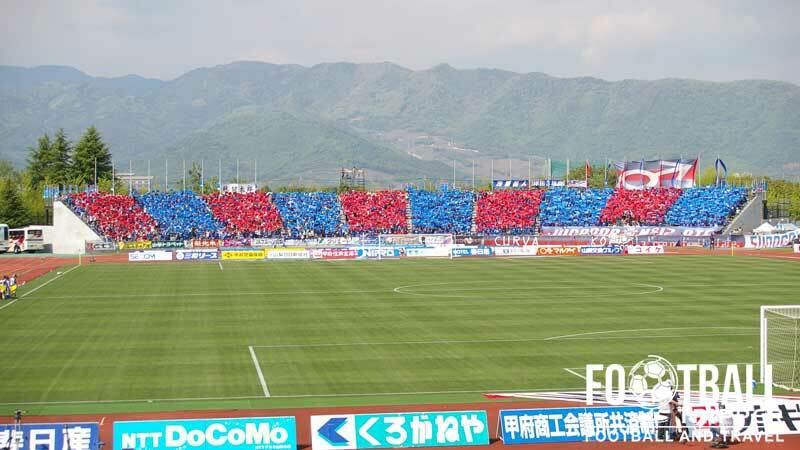 When Ventforet Kofu joined Division 2 of the J.League in 1999, Stadium Yamanashi was renovated in order to bring it up to the required standards of the league. As the first football team to move into the stadium, the lack of floodlights was immediately addressed, and a modern electronic scoreboard was added. 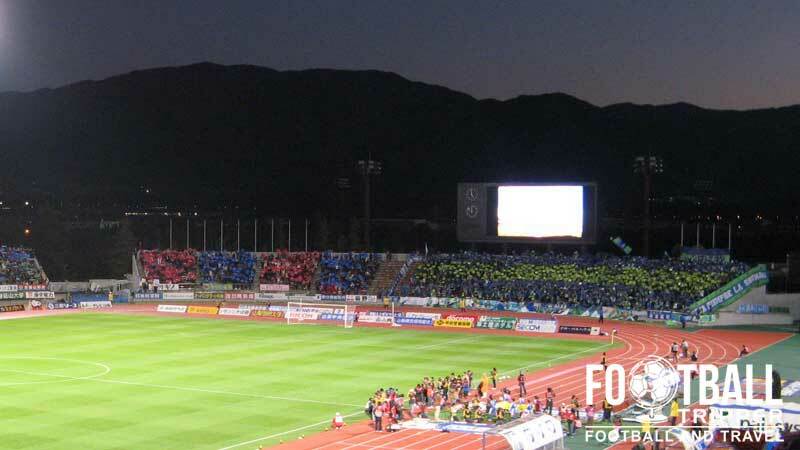 The development of stadium Yamanashic continued to be reliant on Ventforet Kofu’s on-field performances, as the next set of renovations occurred after the club earned promotion to Division 1 in 2006. Finishing 3rd behind Kyoto Purple Sanga and Avispa Fukuoaka, participation in Japan’s highest division requires a capacity of at least 15,000, and thus a new stand was to bring the capacity up to 17,000 by March 2006. In September 2010 the city of Kofu began to solicit offers for the naming rights of the stadium, and soon agreed a five year deal with Yamanashi Chuo Bank worth 20 million yen per year . The name change to Yamanashi Central Bank Stadium officially began on the 1st March 2011. 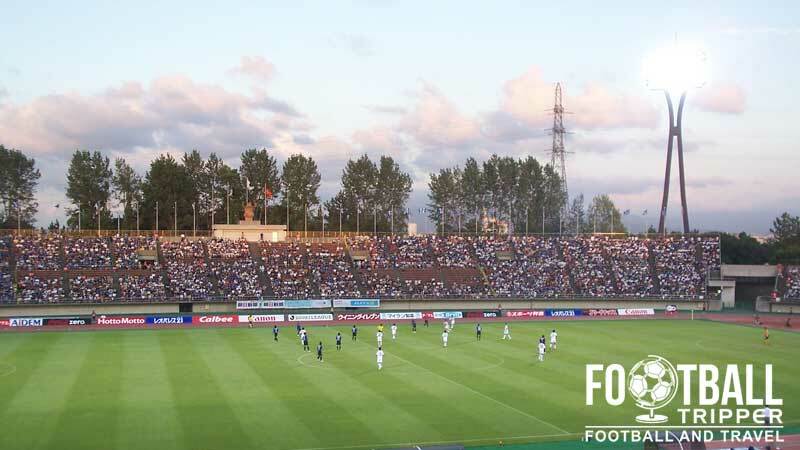 Kose Sports Park Stadium consists of the following four stands: North, East, South and West.